Join us for the PTO Boo Bash! 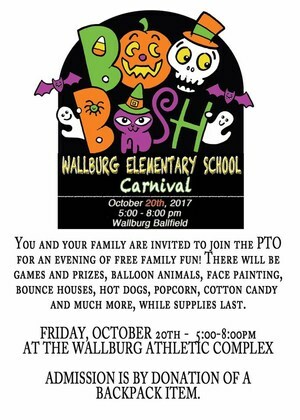 You and your family are invited to join the PTO for an evening of FREE FAMILY FUN! Admission is by donation of a backpack item. 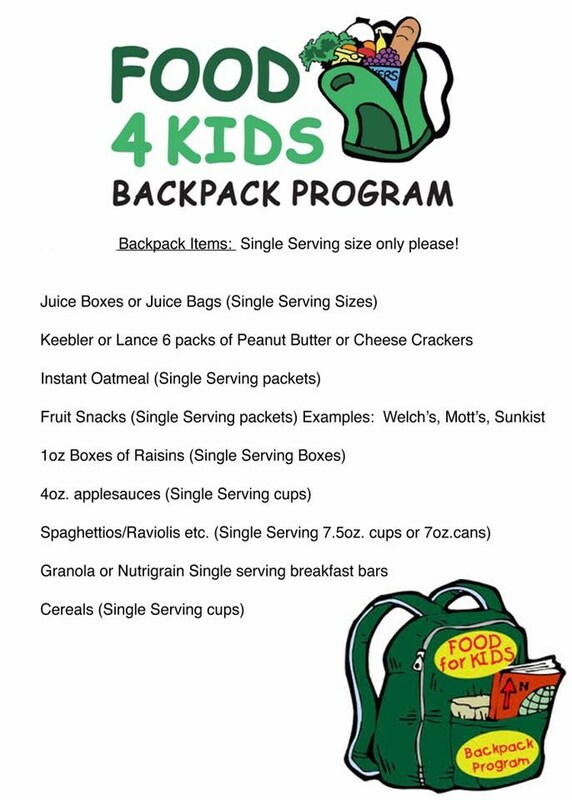 Please see image attached for examples of backpack items. There will be games and prizes, balloon animals, face painting, bounce houses, hot dogs, popcorn, cotton candy, and much more while supplies last!